Established in 1999, Gun Broker has grown to be the largest online auction platform for firearms and rifle accessories. Currently, it boasts of the highest number of visitors for a firearm auction platform –- about seven million per month. Additionally, the website has over four million registered users. Contrary to what some people think, GunBroker.com isn’t an online gun store. In other words, the site doesn’t sell firearms. Instead, it’s a platform that links willing buyers to willing sellers. Dealers of Federal Firearms License (FFL) act as transfer agents to ensure compliance with statutory regulations as well as confirm that all buyers and sellers have legal permission to own a firearm. So, how do you buy a rifle from Gun Broker? 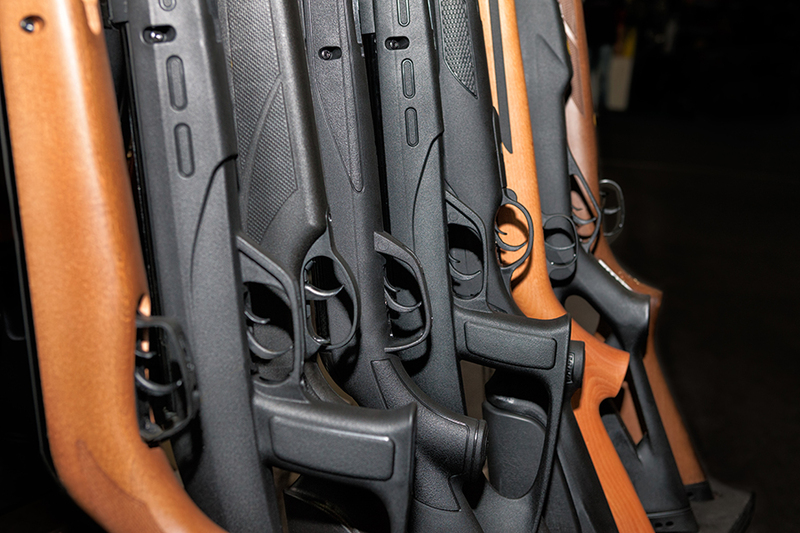 Purchasing a gun through Gun Broker isn’t difficult, but there are certain steps you need to take. We’ve listed them here for you. Before you buy anything on the site, ensure that you read the seller’s product description. It will give you an idea of what a particular weapon is like, and what to expect in terms of performance, durability, and other key considerations. Being a reliable site, you can rest assured that what the gun trader has listed in the product description is what you will get. While the product description shows you the specific features of the gun, pictures give you the opportunity to assess its appearance before you buy. If you are the type of gunner who appreciates a good looking gun, then this is a definite must-do. If it’s your first time buying a gun online, don’t do it alone. Have an experienced friend help you go through the different guns listed on Gun Broker. If you don’t have gun-savvy friends, consult your local arms dealer for expert advice. Give them an idea of what you are looking for in terms of size, price, appearance, magazine size, and any other preferences you might have. 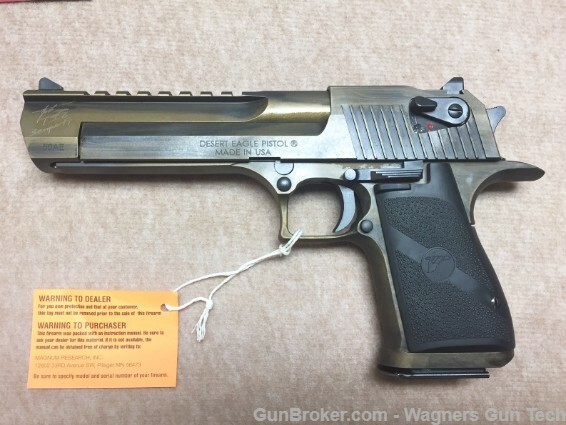 There is a wide variety of guns for sale on Gun Broker. As such, you must know how to narrow down your search to see the specific types of guns you want. The platform has a search button that displays a list of results according to the keywords you enter in the search box. Following an initial search, the website allows you to filter out unwanted items by adding some criteria to the “Narrow Your Search” box that appears in yellow. After selecting your desired criteria, click the search button to see items matching your description. You can further refine your search by clicking on either the “Auctions” or “Buy Now” tabs. The auctions tab will display items that you can bid on, while the buy now option will redirect you to items that you can buy immediately at a specified price. Since you want to save money, you’ll probably go for the bidding option. Gun Broker has a special feature known as Autobid, which is very useful for buyers who haven’t mastered the art of bidding. With Autobid, all you need to do is enter the maximum amount of money you are willing to pay for a particular gun and let this convenient feature do the rest. Autobid always bids at the least possible amount needed to win an auction. For instance, if another user exceeds your bid, it will automatically raise your offer accordingly. However, under no circumstances will the feature stake more than your maximum offer. Even better is that Autobid always attempts to meet the reserve price. A reserve price is the least possible payment a seller will accept for a particular item. Since bidders cannot see the reserve price, using Autobid is the only way to bid closest to this price. If you decide to bid on an item, ensure that you place your bid in the final minutes of the offer. Placing bids early will only invite more competition, which raises the price. And when you finally make your bid, stake a significant percentage of the maximum amount you are willing to pay for that particular gun to increase your chances of winning. As a general rule, avoid auctions that are too crowded unless there are no other similar items on offer. Why Shop at Gun Broker? Unlike your regular gun trader, Gun Broker offers you the convenience of buying firearms from a trusted dealer from the comfort of your home. The site also gives you the freedom to choose between different products, prices, and dealers -– talk about a free market. However, you will have to pay for shipping and may find that some sellers do not accept credit cards. Nonetheless, this shouldn’t stop you from shopping at the best online gun platform.